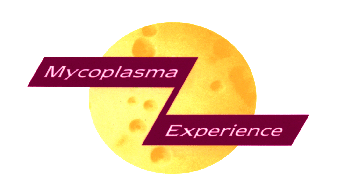 Mycoplasma Experience is committed to the provision of high quality services and products, our staff being experienced in both Good Laboratory Practice (GLP) and Good Manufacturing Practice (GMP). Having been involved with testing vaccines and cell-cultures for many years, David Windsor has contributed to the design of International Regulatory Tests for the Absence of Mycoplasmas. The key elements required for Registration - suitably experienced personnel, adequate premises, standard operating procedures with scheduled equipment validation/ maintenance/recording are in place. Inspections by clients’ QA units have invariably been satisfactory but should Registration for GLP or GMP be considered essential by a prospective client, this could readily be achieved. Mycoplasma Experience already holds a current Certificate of GMP Compliance of a contract testing site, awarded by the Veterinary Medicines Directorate following a successful audit (September 2017). Because our laboratory requirements are varied, and sometimes conflicting, the usage of individual laboratories is strictly controlled. Samples in which mycoplasmas should be absent e.g. vaccines and cell cultures, are inoculated into media in a Class II cabinet in a laboratory restricted solely to this cultural activity. (Suspected positive cultures are transferred to the culture room for subculture). Where the presence of mycoplasmas is likely e.g. animal swabs or tissues, these are transferred directly to the culture room for inoculation. In both of the above rooms, the sample sequence is recorded. Media constituents and complete media are prepared in a dedicated laboratory suite where no micro-organisms are cultured.